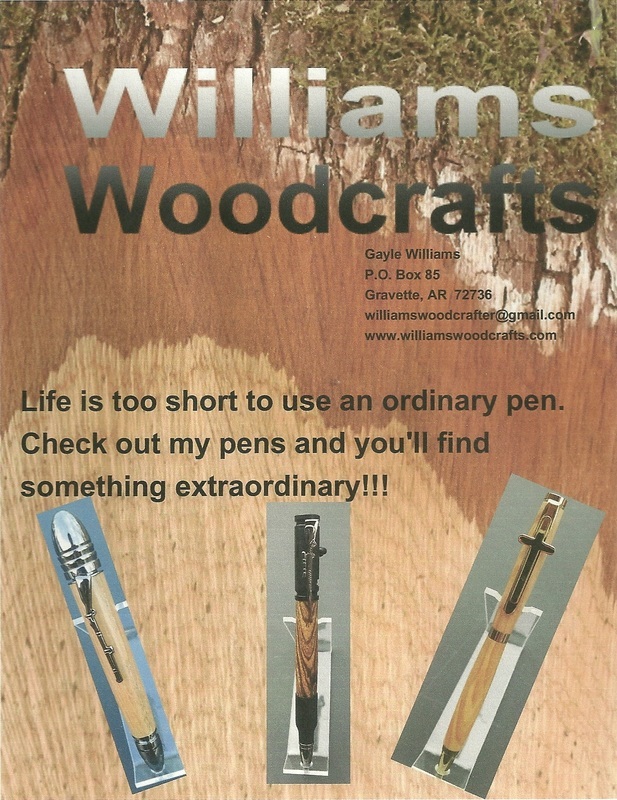 Welcome to Williams Woodcrafts - Welcome!!! I live in Northwest Arkansas, also known as God's Country! I got into woodworking about 20 years ago, but hadn't done any for several years. I retired from the postal service three years ago and decided I wanted to get back into woodworking, but wasn't sure just what part of it I wanted to do now. I started watching wood turning videos last summer and was interested in the ones on pen making. So I learned how to make pens. And loved it!!! The most fun I've ever had! This was perfect for my retired life and working in my garage was very convenient! So here are some of the pens I've made. I plan on adding other items like bowls, pepper mills and rolling pins. I'll add pictures of new things as I make them and I'll see where this all takes me.